Five year old Oliver Poinsignon needed £52,000 so he can run, jump and climb like every other little boy. The youngster from Ashurst, near Steyning, has cerebral palsy and struggles to get around because of extremely tight and painful muscles in his legs. That total has now been raised. But the fundraising continues for other families in similar situations to Oliver’s, through the charity The Tree of Hope. 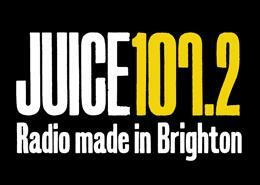 Guy Lloyd, Drivetime Presenter at Brighton’s Juice 107.2, has organised two events to help reach the target.